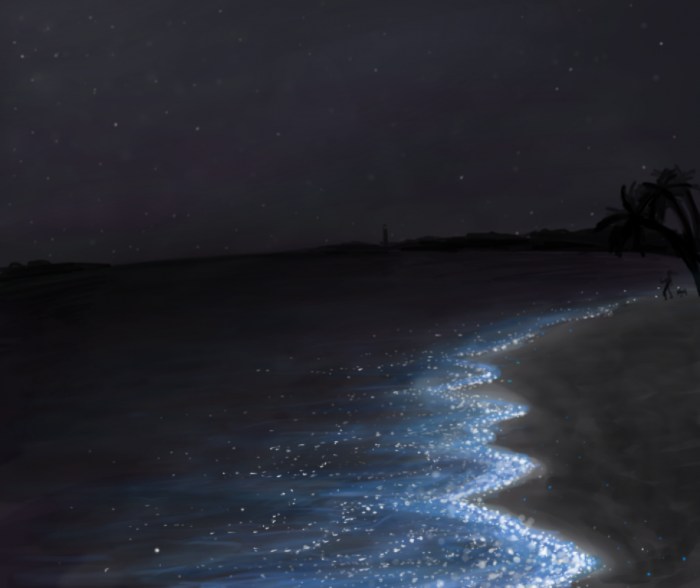 It is a magnificent feeling when you look at the sea and its waves at night to find them colored in blue. 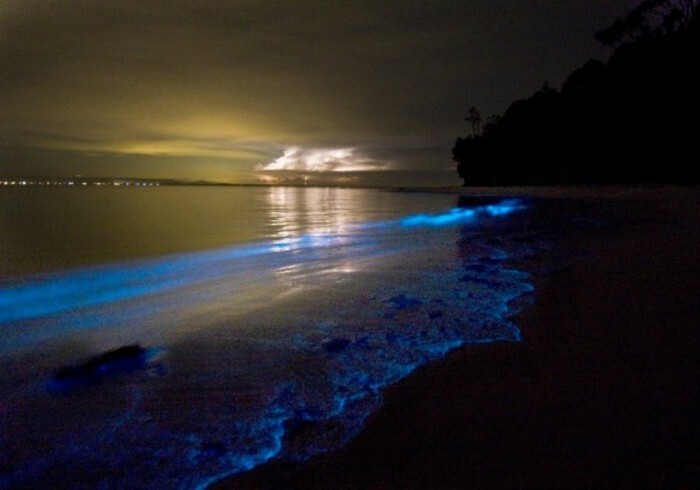 Do you believe that it can happen? 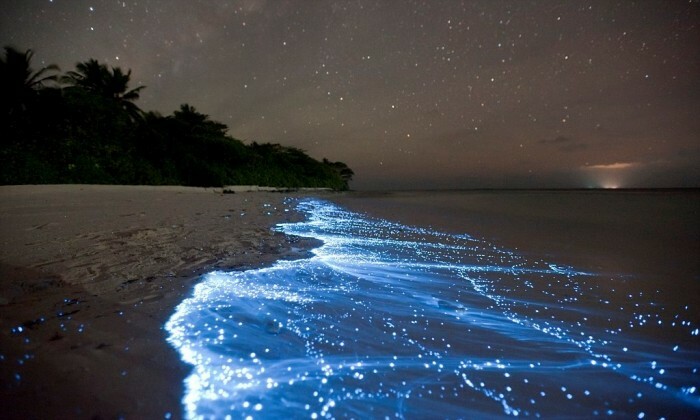 It is really a breathtaking view. 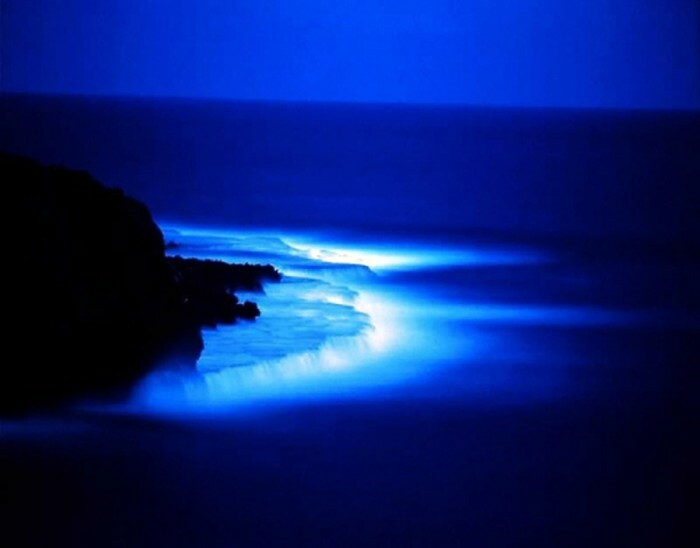 We used to see the blue waves during the daytime and this is explained as the clear water of the sea reflects the blue color of the sky but what makes a sea blue at night while the sky is dark and there is not light around the sea. 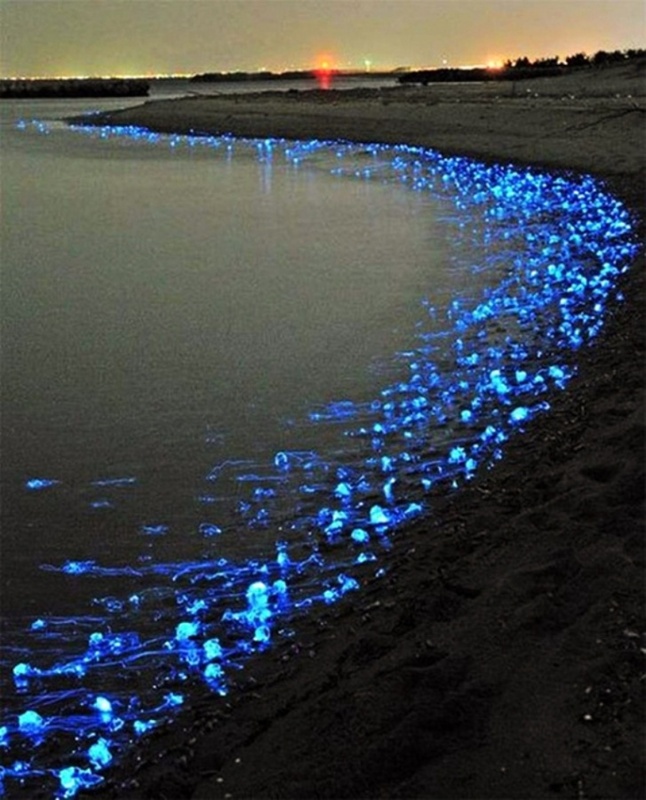 It is impossible to say that the sea reserves the color with which it appears during the day. 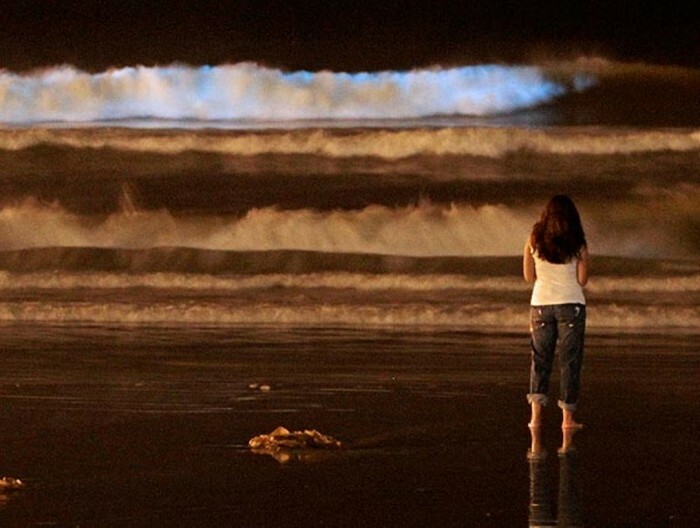 The secret of this blue waves that are found at some places in the evening is now revealed. 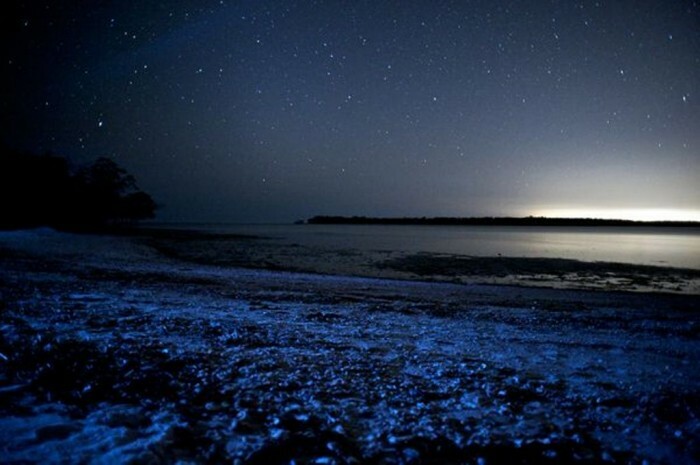 This blue color or light that shines in the evening is a biological light, But what does this mean? 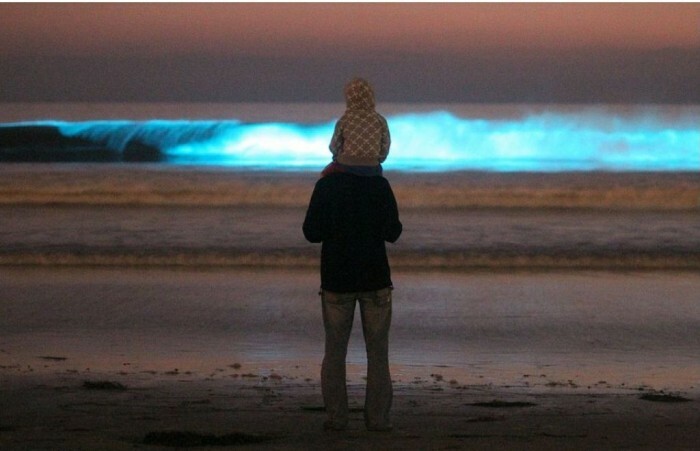 and how is it generated? 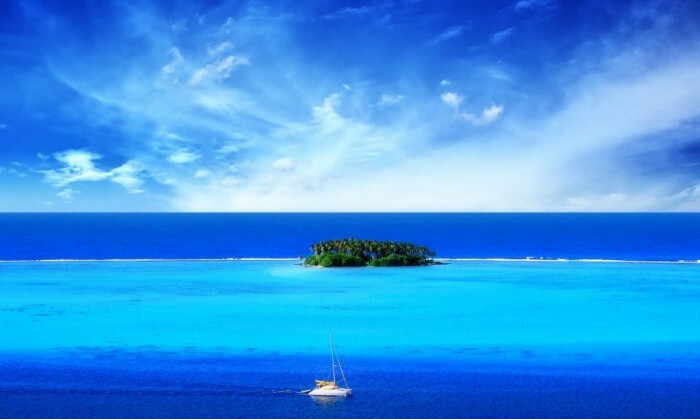 We usually enjoy looking at the sea, especially when it is clear, and its beautiful blue waves in the daytime. 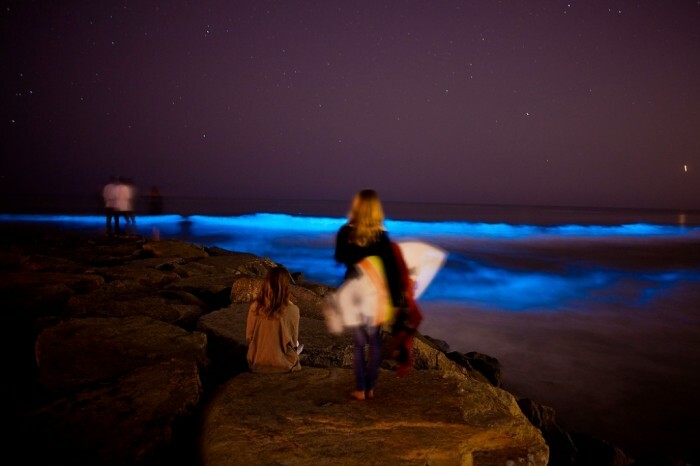 But do you know that you can enjoy the same view at night thanks to tiny marine microbes which make the sea and its waves glow? 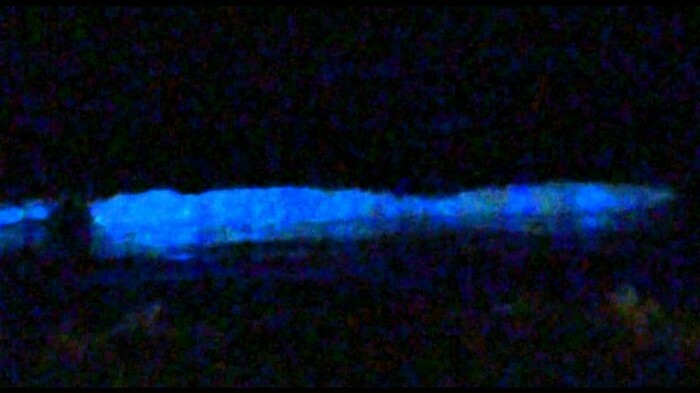 Here is the explanation. 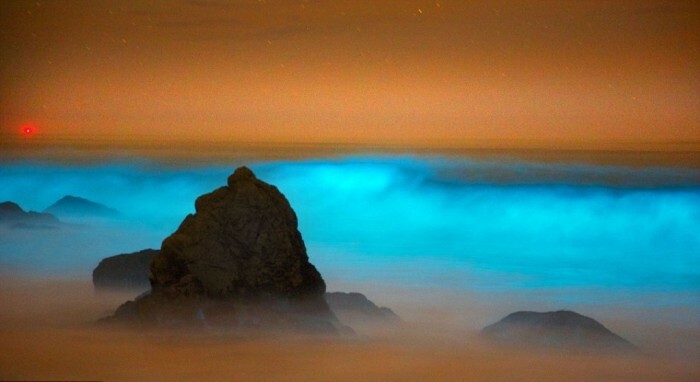 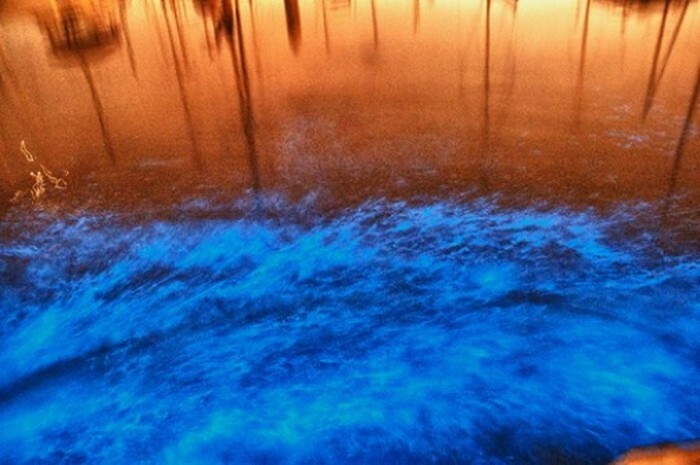 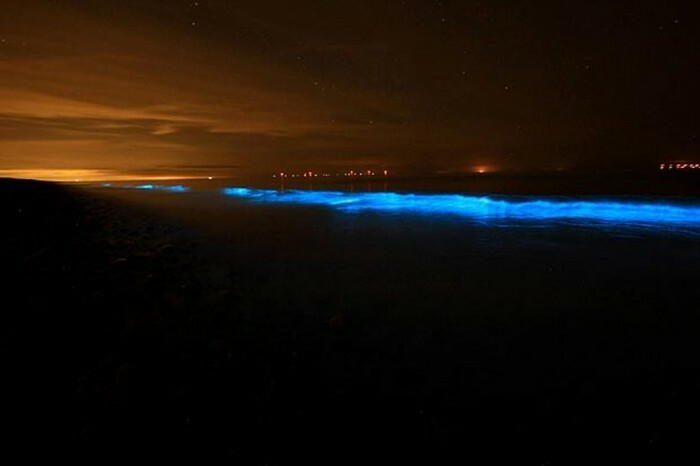 The only scientific explanation for this weird and breathtaking phenomenon is that there are algae blooms in the sea that turn the waves from teir normal color into the neon blue color. 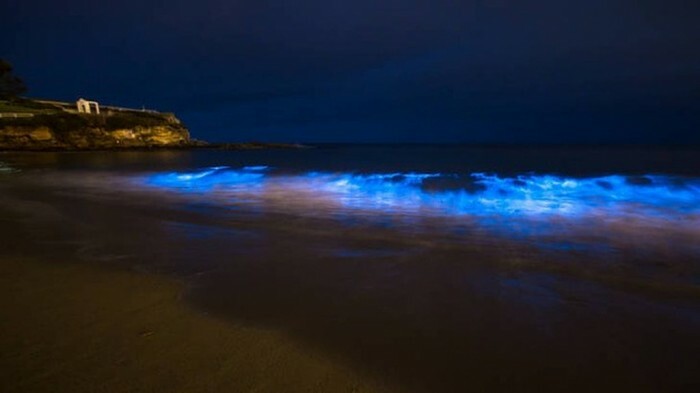 There is a chemical reaction that happens in the phytoplankton’s cells which are marine microbes that create the algae and this reaction is caused by the waves. 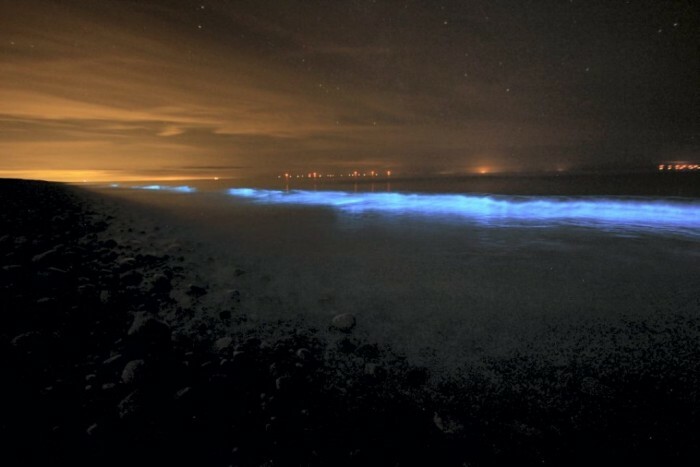 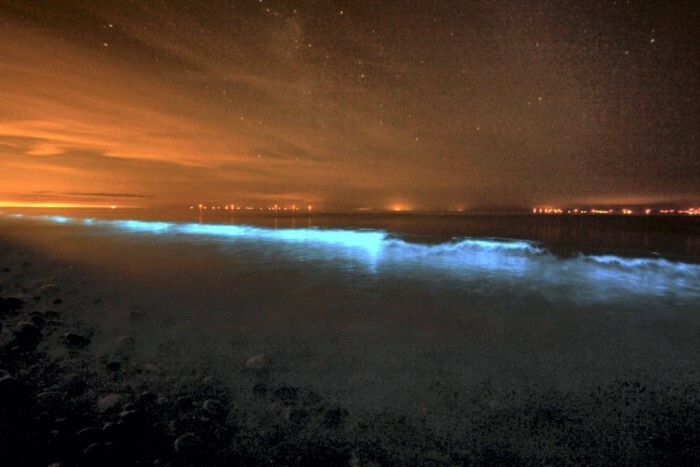 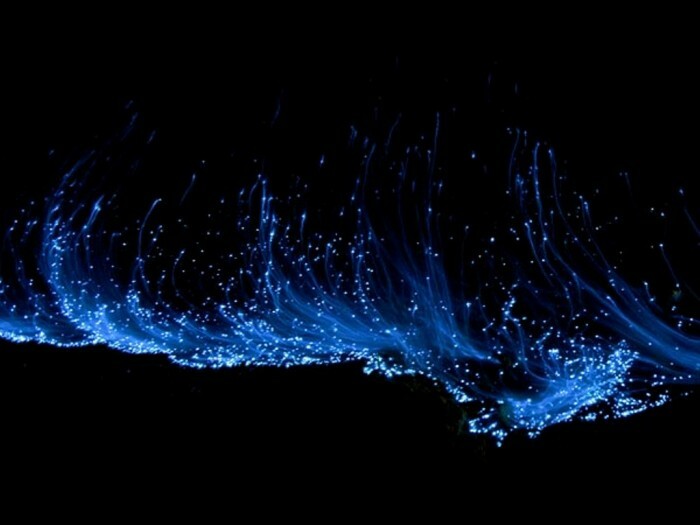 The waves of the sea create an agitation that leads to what is called bioluminescence or the glow of the algae that is generated after the reaction. 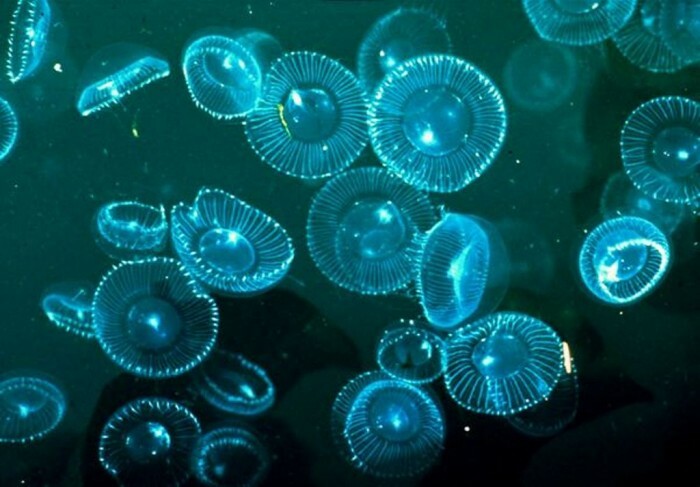 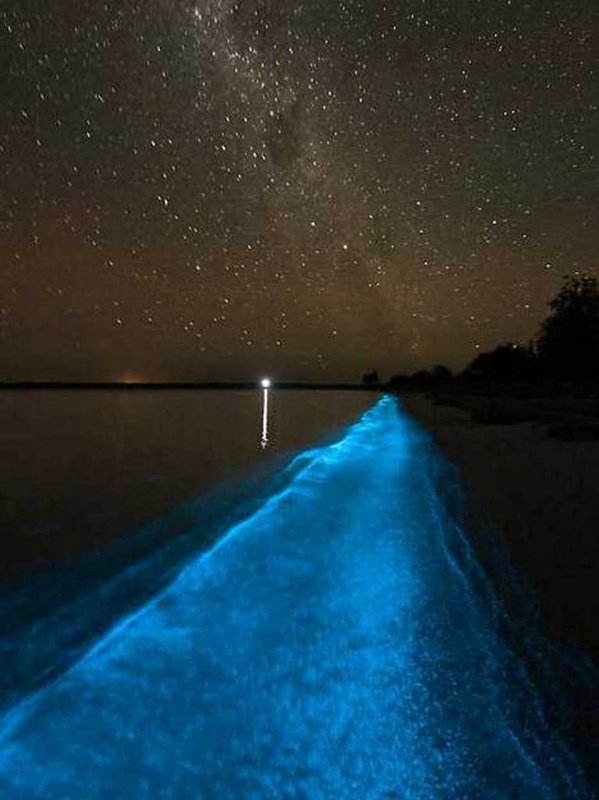 Marine biologists say that this amazing blue glow or light is not restricted to a specific place and it can be seen in different oceans around the world. 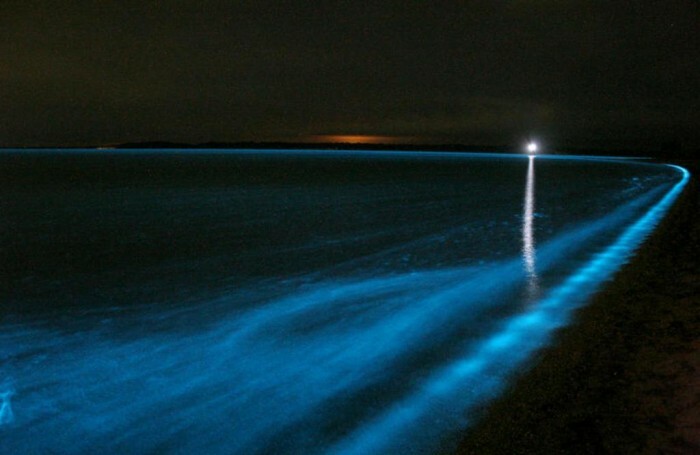 Dinoflagellates are phytoplankton cells that are responsible for generating the most common type of bioluminescence. 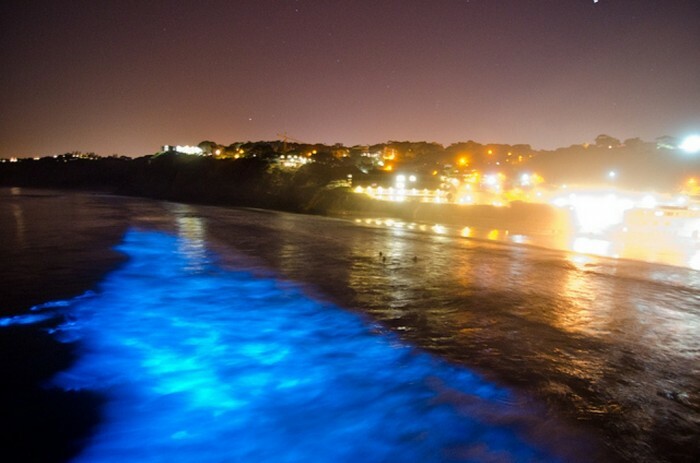 This unique phenomenon unfortunately happens just once a year. 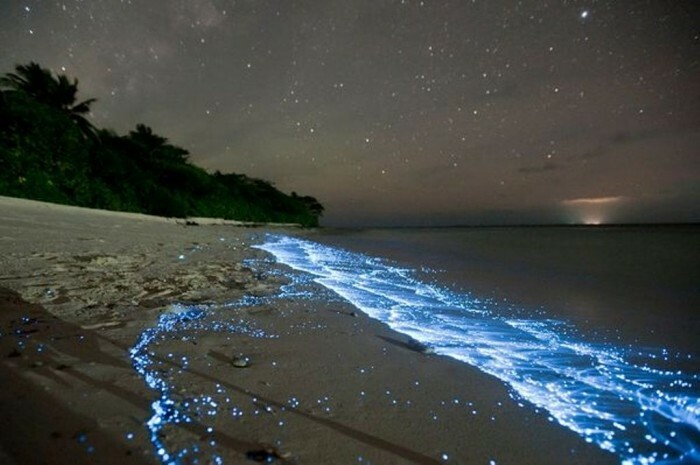 You can enjoy seeing it in places such as the Maldives and San Diego. 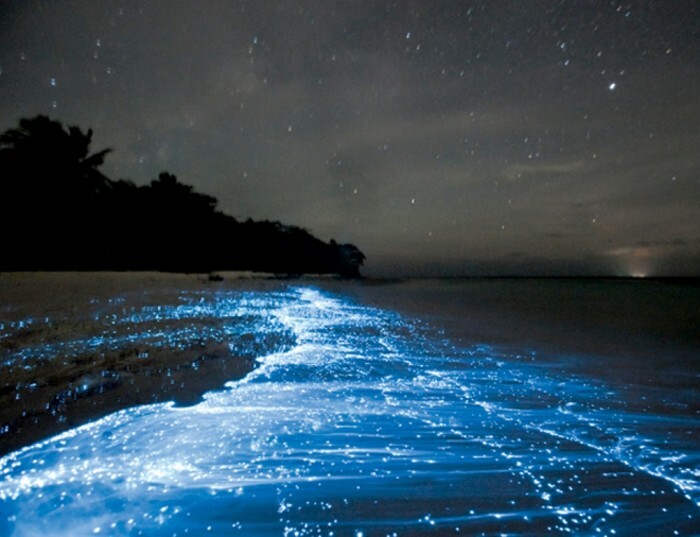 It is worth mentioning that this stunning phenomenon is commonly known among people as “red tide”. 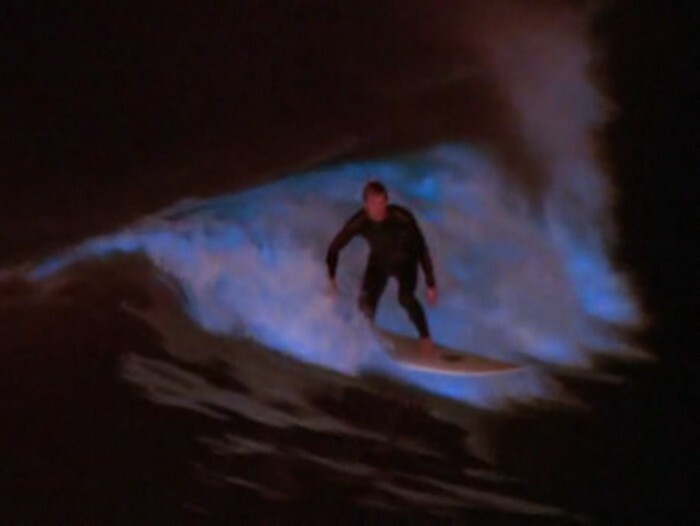 There are many people who try to make full use of this unique phenomenon and enjoy it through surfing the waves at night. 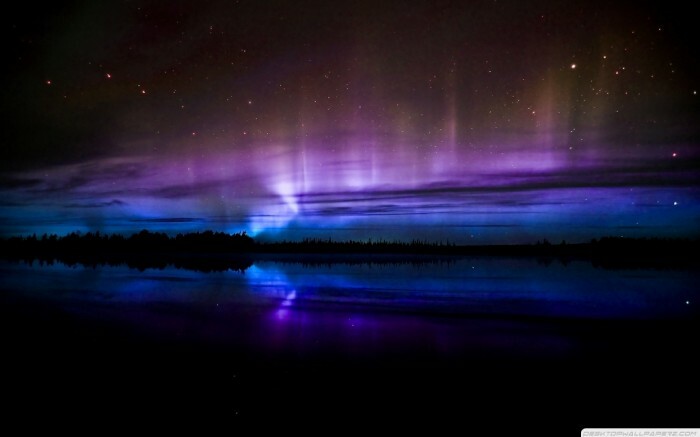 They can enjoy their favorite sport and this magnificent view at the same time. 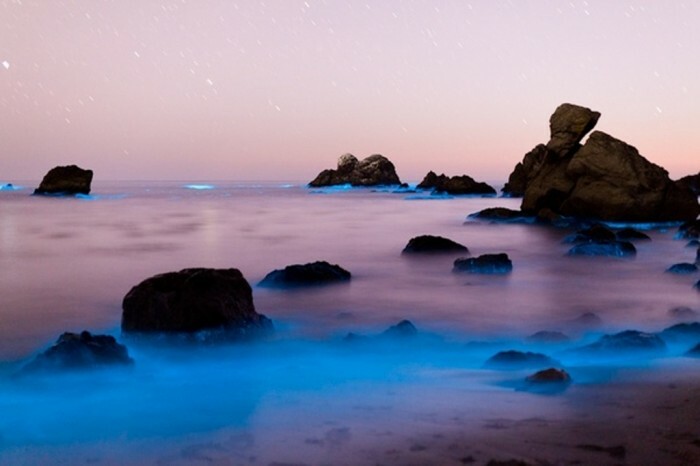 What is bad about this phenomenon is that it does not last for a long time or throughout the year. 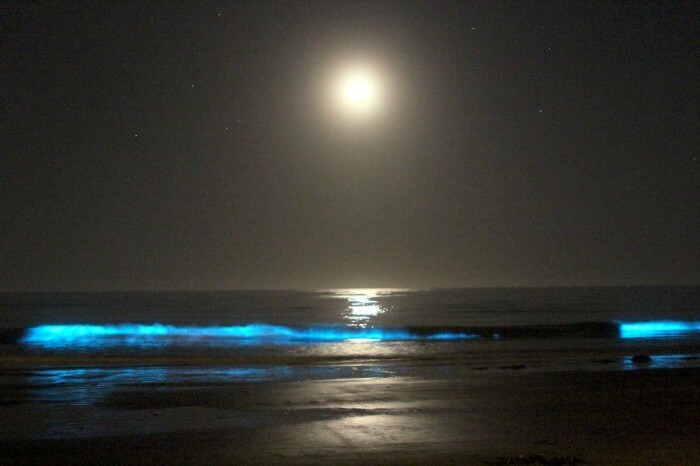 In some places like San Diego, the red tide or the neon blue waves are considered to be a main cause for attracting night surfers.